Island Mazda near Freehold, New Jersey proudly presents the all-new 2017 Mazda6 sedan. For the third time in nearly as many years, Mazda6’s gets better. Among the only changes, Mazda implements for 2017 that affect the 6’s excellent driving dynamics is G-Vectoring Control, an electronic widget that helps the sedan turn into corners with more alacrity. The feature is making its simultaneous debut on the 2017 Mazda6 sedan and hatchback, and you can read a full rundown of how it works here. In short, G-Vectoring Control makes fine adjustments (reductions) to engine torque to imperceptibly induce load transfer toward the front axle as the steering wheel is turned off-center, improving steering response. It’s a clever and very Mazda-like development, and it appears to work as advertised, being both seamless and helpful. To instill the joy of driving into every Mazda, they engineer with a human-centric development philosophy. It’s how Mazda created SKYACTIV-VEHICLE DYNAMICS with G-Vectoring Control in the 2017 Mazda6. Instead of focusing on the mechanics of vehicle dynamics, Mazda started our development with humans. Running countless studies on people’s characteristics and behaviors to design a vehicle that works harmoniously with the driver. The result? A car that feels like an extension of your body, with more precise steering, better control, and less fatigue. Conventional internal combustion engines only harness around 30 percent of the potential energy of the fuel. So Mazda engineered a smarter engine. By pushing the limits of internal combustion, the SKYACTIV-G 2.0L and 2.5L gasoline engines deliver much greater fuel efficiency. With higher compression ratios than conventional engines. Simply put, SKYACTIV engines can compress the air-fuel mixture in the cylinders to an extraordinary degree. Squeezing far more energy from every drop of fuel. Outstanding performance. Incredible efficiency. And sophistication that stands above its class. 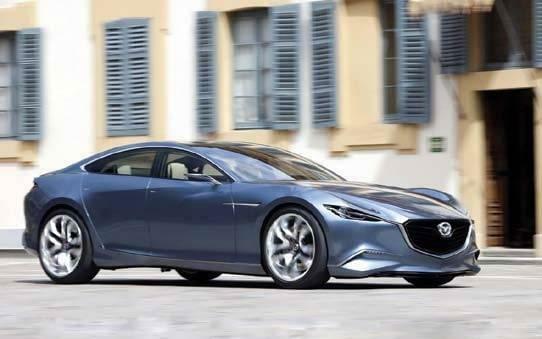 The Mazda6 isn’t just any sports sedan—and leading automotive publications seem to agree. Here’s what they have to say about the sedan that changed everything. Inspired technology that inspires confidence. Available i-ACTIVSENSE safety innovations use sophisticated technologies like cameras and radar to give you a sixth sense for safety, helping to alert you to hazards before they happen. It’s another way Mazda helps you focus on what matters: driving. Stop by Island Mazda near Freehold, New Jersey today and check out the all-new 2017 Mazda6 and take it for a test drive today!